Local model Sheena Liam, who tied the knot with famous Lithuanian artist Ernest Zacharevic last year, has achieved a new level of Insta-fame. The 27-year-old Penangite’s hand embroided artwork has been featured by Instagram on its feed and Stories. At the time of writing, her post on the photo and video-sharing social networking service has garnered 1 million 'likes' and numerous comments complimenting her work. The posts on InstaStory show how she recreates self-portraits with her signature dark green thread, whose combination of secure and loose fibres lend a sculptural aesthetic. Liam also exhibited her embroidery artworks — previously only shared on Instagram — for the first time at Item Gallery Paris last year. Titled Times New Romance, which takes after the Internet moniker that made her synonymous with contemporary embroidery, the solo exhibition has attracted an even more impressive following on her social media account. 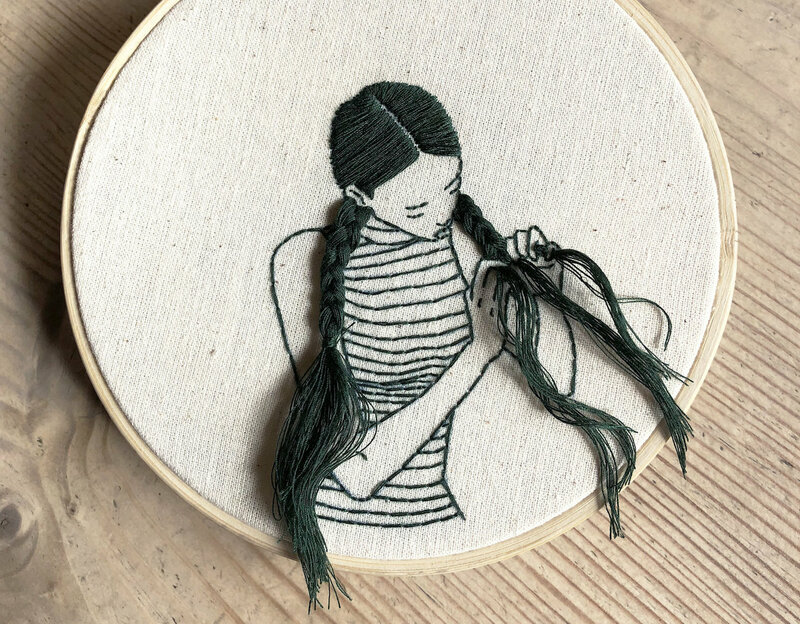 What started off as a hobby to stay occupied during her commute and in her free time has helped Liam, now in based in New York, realised the “potential embroidery beyond the traditional”. “I’m not a person who can sit idle,” says the artist who learned the skills from her mother as a child. “The Internet introduced me to artists with new and contemporary ways of approaching the medium. To see the InstaStories featuring Liam's hand embroidered artworks, click here.